Police body cameras and online tracking systems that allow victims to follow investigations are to be introduced as part of sweeping changes to West Midlands Police that will also see thousands of jobs go. The force has revealed more details of a radical five-year plan with a private partner that will see at least 2,500 job cuts by 2020. 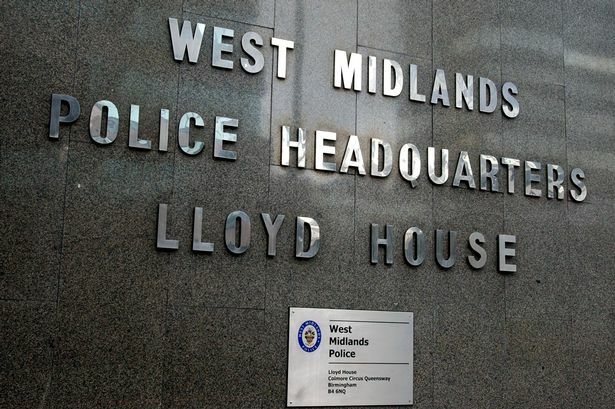 The force told a special meeting of the West Midlands Police and Crime Board that the first two years of the new deal will focus on upgrading its technological capability. The huge changes are likely to include the introduction of body-worn cameras, hand-held devices for officers on the streets and online tracking systems that allow the public to track the progress of investigations like a parcel. Nine key programmes have been drawn up, which will have 33 different projects within them. One of the nine programmes, entitled ‘next generation local policing’ includes a warning that the current local policing unit structures are unsustainable and warns that a sustainable model of local policing needs to be found. Another of the key programmes is transforming investigations, which it says need to reduce in cost but maximise new technology like digital forensics and body cameras. Under the heading ‘driving mission control’ the force says it needs to ensure intelligence and investigations work is in real time in order to maximise opportunities and increase productivity. The document to the board said the initial business cases would now progress to detailed business cases, which would set out more detailed cases. Under the plans, the force is expected to shrink to the smallest size in its 41-year history – from 13,500 in 2010 to around 8,000 by 2020. Chief constable Chris Sims said: “This is very much work in progress with the first two years of the plan laying the foundations for the future, ensuring the force has the in-house capabilities to turn it into a more digitally able and mobile force by 2020. “Broad themes of the programme cover improving the deployment of officers, connecting with the public in a more meaningful way, updating outdated and inefficient systems and working more closely with partners. Earlier this month West Midlands police and crime commissioner David Jamieson warned further government-imposed budget cuts of five per cent would “throw a spanner in the works” of the modernisation plans. West Midlands Police has already faced unprecedented cuts since 2010 and has seen its budget slashed by more than £146 million. Mr Jamieson spoke out against further cuts which are expected to be announced in the Chancellor’s emergency budget on July 8. Mr Jamieson said the force had faced cuts that were twice as deep as some forces. He added: “The WMP2020 programme is making great strides to ensure the force can continue to work within the heart of communities despite ever diminishing budgets. “The first two years of this vital programme of work are focused on ensuring we can get the right technology into officers’ hands to speed up our response and to improve the investigation process. “Over the last five years West Midlands Police has faced 23 per cent cuts. Other forces have faced cuts as low as 12 per cent, which is nearly half as much as we have. Chief constable Sims said the changes were needed even if the force had not been facing the challenge of austerity. He added: “It is abundantly clear that we now face a further period of austerity that broadly matches the challenge to date. “It is also equally important that we can respond to and police the changing needs of our communities.